We offer sign repairs and refurbishing at Rapid Signs, LLC. Do you have an old sign that needs to be updated, but not removed or completely changed? Are you interested in seeing a photo-retouched image of your sign with a ‘face lift’? We can provide suggestions and design consultation if you are interested in re-facing, repairing, painting and refurbishing your existing sign. At Rapid Signs, we know how to work with existing structures to a create new and more modern appearance. We can suggest an overhaul on your sign panels, lighting, and overall cladding of your sign, working with the structure and location that exists. Rapid Signs will provide solutions and suggestions, making it our goal to refurbish your sign in a seamless and efficient manner. If your old sign is no longer effectively communicating your brand or if you are a new business that needs to have an existing sign re-faced and changed, call us today! We are partnered with a network of material and fabrication sources so we have access to the right materials and methods to work with your original sign. 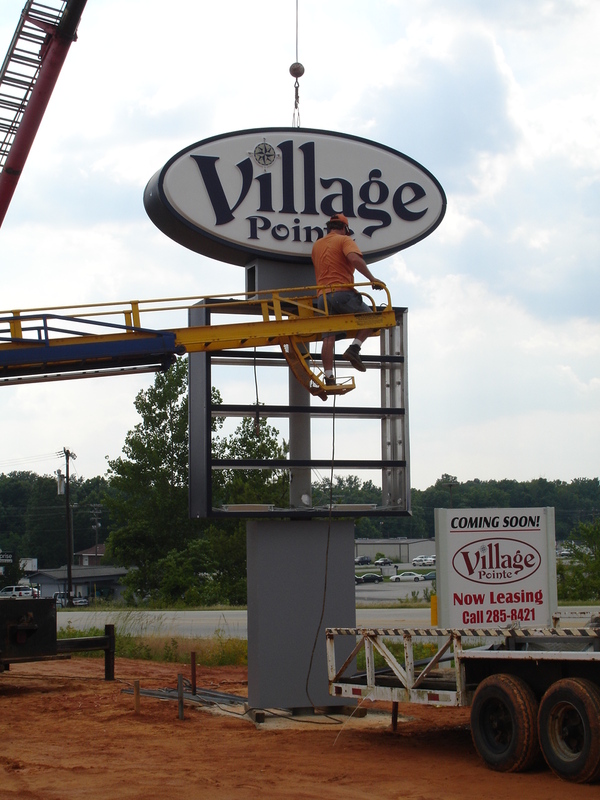 We specialize in sign repairs on pylon, monument and pole-style exterior signs and we serve the regions of NC and SC from Charlotte NC and outlying areas to Columbia SC, Charleston SC and beyond. We promise a quick turnaround with sign repairs as we do with new installations.